Allow your clients to make online bookings for personal trainers, group lessons and other services. Allow your clients to sign-in for classes through the app or your website. This means that your clients can book classes 24/7, and you can save hours of time on administration, phone calls, and cancellations. Allow your clients to buy digital credits through your points of sale. Clients can spend these credits on booking classes or sessions with you. 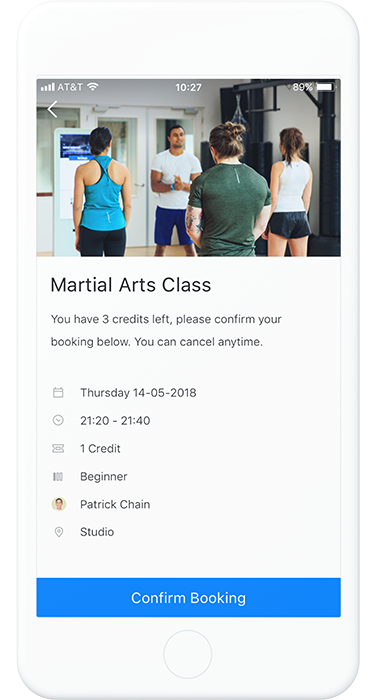 Not only does this make it easier for clients to join classes, but it also makes it easier for you to sell classes. Discover all the features that will simplify your scheduling and booking tasks. Clients can book classes or personal training sessions at any time through your own custom branded app. Boost occupancy and reduce no-shows with automated confirmations and reminders. 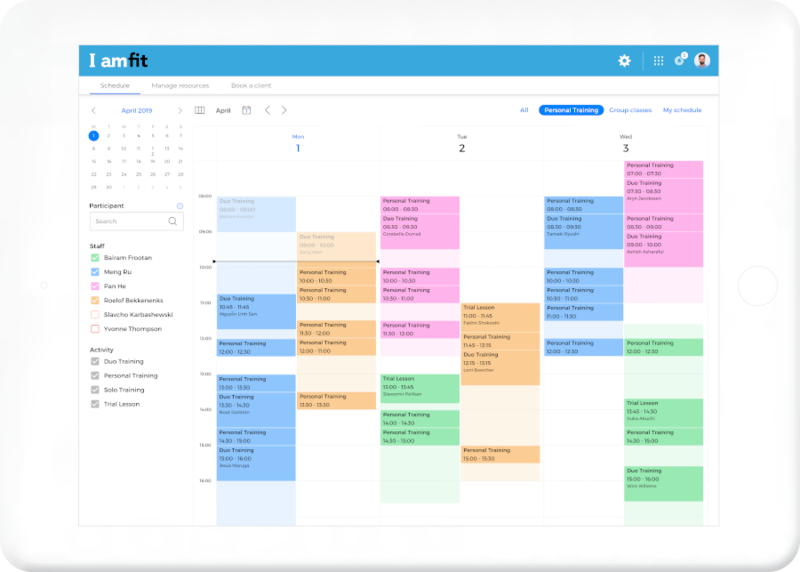 Our fitness scheduling software gives clear insights in class attendance and occupancy rates per instructor. Our automated pay-as-you-go session credit system will simplify handling paid services. Clients can join waiting lists for fully booked classes. When spots opens up, we’ll notify them automatically. Embed your fitness scheduling software on your own website to make your service offering available publicly.